Red Cherry FLARE (Knotted) EXTRA SHORT individual Lashes are handmade to exact specifications. Each pattern and design is perfectly shaped and arranged to provide the ultimate customization to your natural eyelashes. 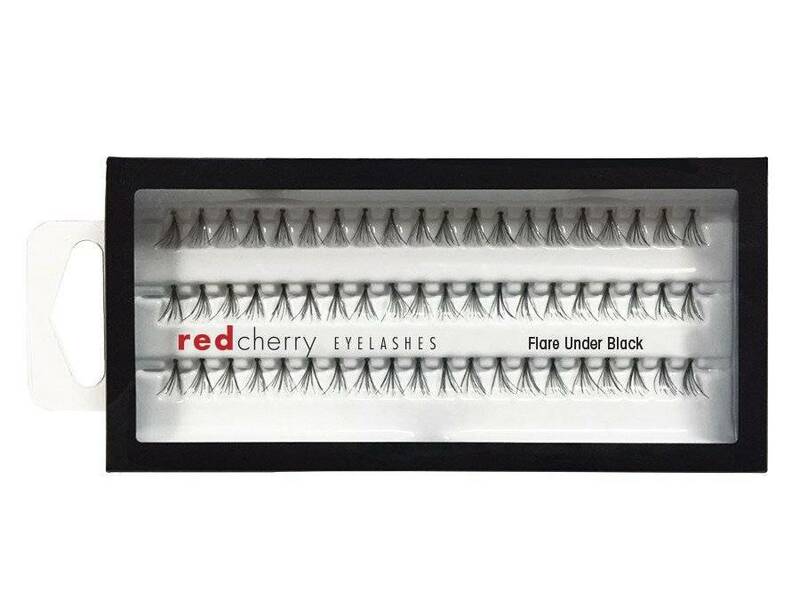 Red Cherry FLARE (Knotted) LONG BLACK individual Lashes are handmade to exact specifications. Each pattern and design is perfectly shaped and arranged to provide the ultimate customization to your natural eyelashes. Red Cherry FLARE (Knotted) MEDIUM BLACK individual Lashes are handmade to exact specifications. Each pattern and design is perfectly shaped and arranged to provide the ultimate customization to your natural eyelashes. Red Cherry FLARE (Knotted) UNDER individual Lashes are handmade to exact specifications. Under lash clusters are applied to the lower / bottom lash line, but may be reversed to use as upper lash clusters for a more subtle and natural effect. 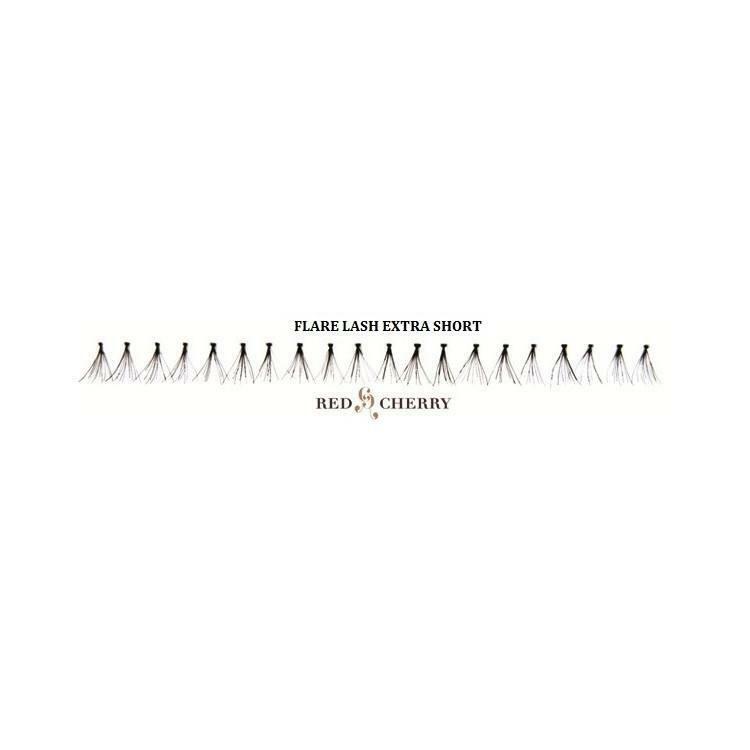 Red Cherry SHORT FLARE (Knotted) individual Lashes are designed to accentuate your natural eyelashes to add instant wink to your eyes. Red Cherry SHORT FLARE (Knotted) BLUE individual Lashes are designed to accentuate your natural eyelashes to add instant wink to your eyes. Red Cherry SHORT FLARE (Knotted) PURPLE individual Lashes are designed to accentuate your natural eyelashes to add instant wink to your eyes. Red Cherry (Natural) Long Single lashes are designed to accentuate your natural eyelashes to add instant wink to your eyes. Red Cherry (Natural) Medium Single lashes are designed to accentuate your natural eyelashes to add instant wink to your eyes. Red Cherry (Natural) Short Single lashes are designed to accentuate your natural eyelashes to add instant wink to your eyes. Red Cherry MEDIUM FLARE (Knotted) BLUE individual Lashes are designed to accentuate your natural eyelashes to add instant wink to your eyes. Please note Red Cherry Lashes MEDIUM FLARE BLUE has been discontinued and is no longer available. Check out our collection of colored individual lashes to add colores to the seasons HERE.